As larger cargo volumes and more international vessels move through Arctic waters, or the Northern Sea Route as the passage is generally called in Russian (SMP is the cyrillic acronym, NSR in English), the Kremlin’s strategy is to fund the construction of the most powerful nuclear icebreakers in the world, and ensure they dominate future navigation and convoys. These vessels are very expensive to build and to operate, however. So costly that just a few days of extra time navigating the icepack could eliminate the cost advantage which the Northern Sea Route is currently advertising over the Suez Canal alternative. Because of the lack of ports along the Arctic shores, and tight beam and draught limits for vessels to navigate the eastern Laptev and Sannikov narrows, ten new Russian navigational and emergency centres will be installed over the next decade to bring the new traffic under Russian supervision and regulation. But there are technical problems with the maintenance of hundreds of strontium-90 powered navigational beacons installed along the coast line. Customs, coast guard, and special forces units are also being reinforced and tested to give the Russian regulatory authorities teeth to react to what the Kremlin considers foreign territorial or commercial threats. Ironically, according to one Moscow source, the satellite imaging used by the Russians to identify and navigate around thick ice concentrations is Canadian, not Russian. Decrees issued by former President Dmitry Medvedev and President Vladimir Putin have ordered state funding for three new nuclear-powered icebreakers, built according to new designs by the Iceberg Bureau of St. Petersburg. The first, already under way at Baltic Shipyard in St. Petersburg, will be ready by 2017; the second and third by 2020. The federal ministry of Finance is planning to spend Rb100 billion ($3.1 billion). After the US and Germany tried, then abandoned their efforts to create comparable nuclear-powered icebreakers, Stanislaus Golovinsky says Russia now has an “absolute monopoly” on this segment of shipbuilding and operation; Golovinsky is Deputy Director General of Rosatomflot, the state agency in charge of the new icebreaker fleet. Japan operates the nuclear-powered Mutsu icebreaker, but it is no more than a research vessel. China tested the route with the Xue Long, a diesel-powered icebreaker, a year ago. It wasn’t until 2008 that Rosatomflot was put in charge of the nuclear-power icebreakers, after more than a decade of semi-commercial icebreaking by the Murmansk Shipping Company. 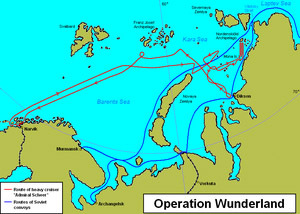 Not since Operation Wunderland of 1942, a German Navy operation to attack and sink Russian convoys moving east and westward through the Northern Sea Route, has there been so much planned vessel movement through the Arctic seas. The perception of potentially hostile or competitive foreign threats in the region spurred the Kremlin and the State Duma to enact new legislation last year, establishing the Northern Sea Route Administration, and following with new regulations and new charges covering foreign vessel navigation, vessel to shore communication, weather and hydrological services, icebreaker operations, rescue and spill response. The Northern Sea Route Administration opened for business in Moscow in March of this year. Its new rules require vessels applying for permits to transit the route to accept Russian icebreaker assistance, which is determined by whether ice conditions at voyage time are judged to be heavy, medium or light. Russian maritime statistics indicate that in 2012 46 vessels sailed through the Northern Sea Route. They carried about 2 million tonnes of cargo; this compares with 7 million tonnes in 1987, the peak volume during the Soviet period. There was almost nothing when Boris Yeltsin took over the presidency in the 1990s. Slightly more than half these vessels sailed eastwards compared to those moving in the opposite direction. Petroleum product cargoes still dominate, compared to bulk iron-ore, fish or ballast. For the first time last year cargoes of liquefied natural gas (LNG) from Norway were transported eastwards, while one Norwegian product tanker set the record at 66,462 tonnes of jet fuel on the route eastwards from South Korea to Finland. On the westwards route, the Dynagas gas carrier,Ob River, delivered a record 84,682 tonnes of LNG to Tobata, in Japan, in May 2012. It is worth noting for comparison that in 2012 through the Suez Canal 17,225 vessels made the passage, carrying 928.5 million tonnes of cargo. 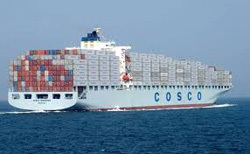 The first Chinese cargo vessel to transport containerized cargo westwards through the Northern Sea Route is currently under way; Cosco’s Yong Sheng is enroute from Dalian to Rotterdam between August 27 and September 11. 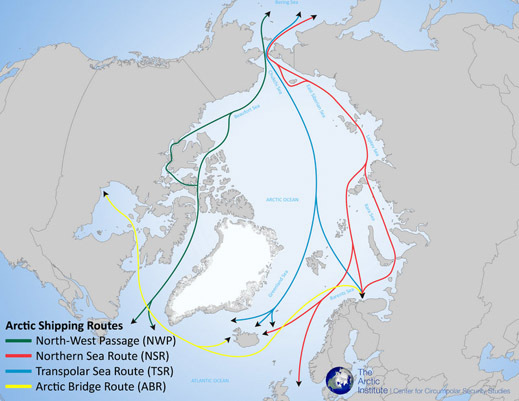 The latest data from the Northern Sea Route Administration indicate that as of August 23, this year, the number of vessels making the complete transit voyage was only 16, carrying 433,000 tonnes of cargo – significantly less than a year ago. Vessel applications for operating permits in the area currently number 547; permits granted, 467, indicating a refusal rate of 15%. When Novatek’s LNG refinery starts operating on the Yamal peninsula in 2017, and LNG shipments commence eastwards and westwards from the new Kara Sea port of Sabetta, a new fleet of 16 LNG carriers will depend on the Russian icebreakers to move more than 16 million tonnes per annum of LNG; the tankers will each have a rated capacity of 150,000 tonnes. 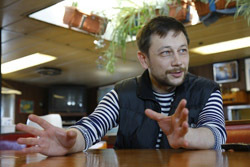 Vladimir Chuprov, head of the Russian Greenpeace energy programme, told Fairplay there is a conflict between the oil and gas companies and the Northern Sea Route Administration and Atomflot. The companies want to keep the price of the nuclear icebreakers down to a minimum, and pay only for the time the vessels are in use. By contrast, the route and fleet bureaucrats who are starved of state budget money want to lift the icebreaker, navigation, and security charges, adding possibly an all-year-round access fee for operators, as is the practice in Scandinavia. Greenpeace is considering charging the Russian regulators with violating “Russia’s obligation under Article 58 of the Law of the Sea Convention to allow foreign vessels freedom of navigation in its Exclusive Economic Zone, and its obligations under Articles 10 and 11 of the European Convention on Human Rights to refrain from unjustified interferences with freedom of expression and peaceful assembly.” The Russian Coast Guard has claimed the right to impose a 4-mile exclusion zone around a Rosneft oil exploration vessel to prevent an approach by the Arctic Sunrise. Chuprov also warns that Russia is running a much bigger risk in the Arctic than there will be oil profits to justify the state outlays and subsidies. According to Greenpeace calculations, by the year 2025 the Russian government expects that the Arctic shelf projects now in planning will be able to produce 13.5 million tonnes of oil. But in terms of aggregate Russian oil production elsewhere on the continent, that would amount to just 3%. 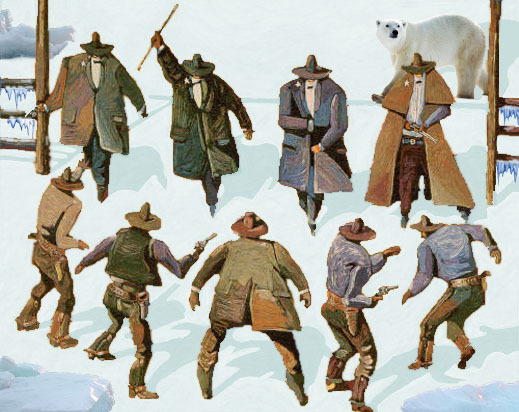 According to Chuprov, there is a serious risk that for all of the special subsidies and tax incentives to encourage Arctic shelf oil projects, the price of oil may not justify the state budget outlays and tax losses. And if that’s the risk facing the oil and gas companies, all the other costs of the Northern Sea Route may turn out to be too high, too uncertain, too risky after all.